The Open Data Team of Step Up Consulting held a data analysis workshop last 21-22 December 2013 at the Dao Diamond Hotel. The workshop aimed at synthesizing fieldwork results of two case studies of the research project “Opening the Gates: Will Open Data Initiatives Make Local Governments in the Philippines More Transparent?”. 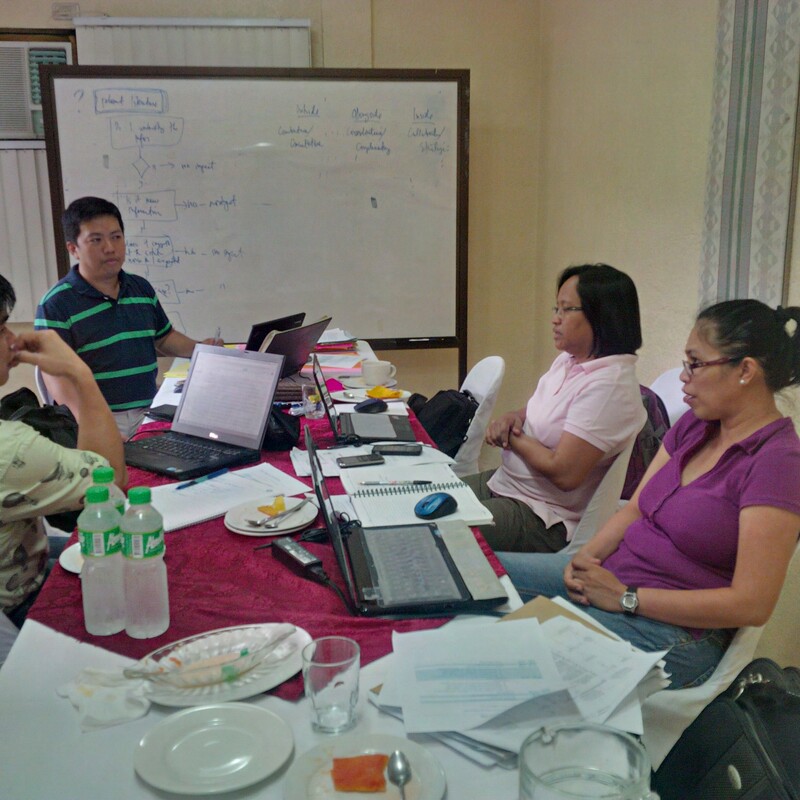 The Open Data team composed of Jare Arawiran, Marilou Sale, Marijoe Narca, and Joseph de Guia discussed the findings of the fieldwork conducted in Bohol and South Cotabato and reflected on the answers to the research questions gathered from the two sites as well as from documents review. The research will still have to visit the third case study site (Bulacan) in the first quarter of 2014. Analysis was undertaken on both the demand and supply side of open data. On the supply side, responses of provincial government officials of both provinces were analyzed to reveal trends in government data provision – from source/document preparers to data uploaders. On the other hand, responses from citizen groups were categorized into three – civil society, media, and business. The results of the analysis will be presented in the Good Governance Summit which will be held at PICC on 15-17 January. The Good Governance Summit is a spearheaded by the Philippine government.